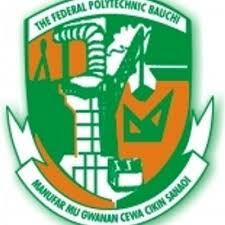 Federal Polytechnic, Bauchi, [Bauch Poly] Diploma, IJMB, Pre-National Diploma, Remedial and Certificate Courses Admission Forms, Available Courses, Admission Requirements, Steps to Apply for 2018/2019 Academic Session. Applications are invited from suitably qualified candidates for admission into the Federal Polytechnic, Bauchi, for the 2018/2019 Academic Session for the following; Diploma, IJMB, Pre-National Diploma, Remedial and Certificate Courses. Applicants are to log on to the Federal Polytechnic, Bauchi website at www.fptb.edu.ng, Click on ‘NEW ADMISSION APPLICANT’, enter your details and generate payment slip (RRR) to take to the bank. After payment, return to the same website to continue your application with the Application Number and phone number you started the application with. All applicants are to make payment of non-refundable fee of N6, 500.00.